In this 10-minute quickstart, you'll use the Zendesk API to create a few tickets. 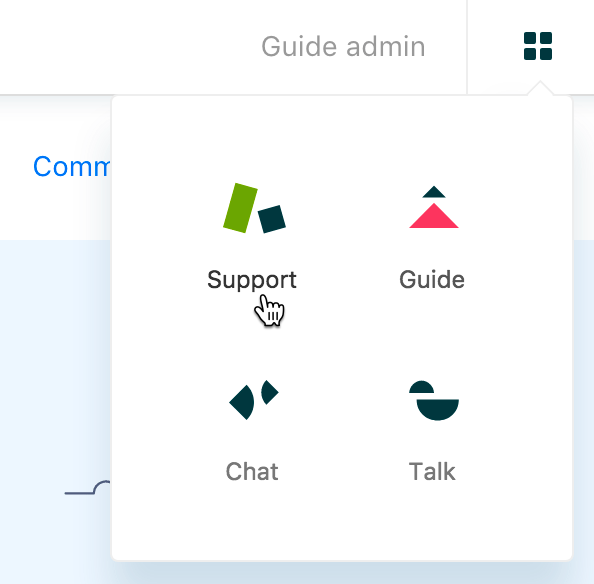 In your browser, navigate to your Zendesk account. The url will look something like https://your_subdomain.zendesk.com. Sign in, then open the agent interface by selecting Support from the product tray in the upper-right. Click the Admin icon ( ) in the sidebar, then select Channels > API, and make sure Password Access is enabled in the settings. If you don't have permissions to do this, ask an admin to check for you. It's important to open the console on the agent interface page or your API requests won't work. Let's create 3 tickets with one code snippet. 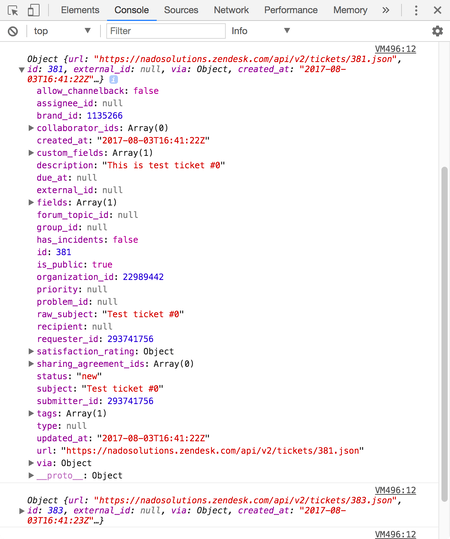 To create a ticket with the API, you make a POST request to the /api/v2/tickets.json endpoint. You can find all the details about the Tickets API in the developer docs, but for now let's jump right in. The code snippet creates a loop that makes 3 API requests. 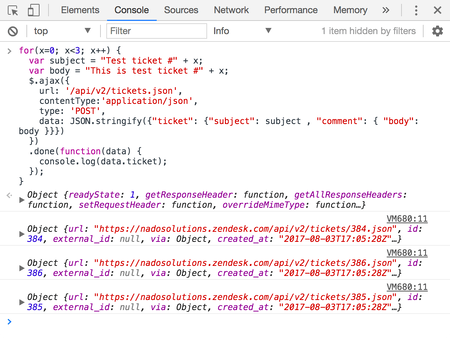 If you get POST https://subdomain.zendesk.com/api/v2/tickets.json 404 (Not Found), it means you're not currently signed in to your account. Go do that now and retry. The last 3 objects are new tickets and all their information, including a bunch of properties you didn't bother to set. 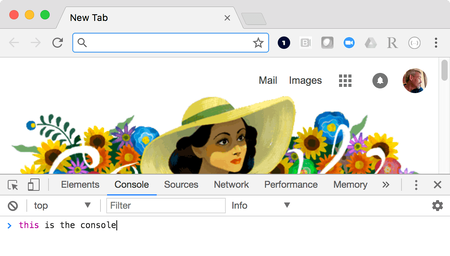 In the Chrome example above, you'd click the expander icon on the left of each object to see the rest of the properties. When you're done trying out the API, delete the test tickets by selecting them in the list, clicking the Edit Tickets button in the upper-right, and selecting Delete. Ask questions or look for answers in the Zendesk API developer community.